Hi, I am 14 years old and in 8th grade as of now and this is my first ever PC! I built this because I saw a game that a lot of people were streaming on YouTube at the time last year, called ARK:Survival Evolved and I took interest. I know that this game has several issues and is unoptimized but it looked really cool at the time. Long story short, my friends later on wanted me to get a PS4 so that I could play with them, but when I saw what ARK looked like on the console, after before only seeing it with the graphics maxed out on a computer, I immediately decided to build a PC. As I saved up over the past year for my PC, my ideas on what kind of PC I wanted changed a lot. After a while I decided on a price point at around $1400 and chose my parts with accommodation for upgrades in the future. Overall, the build process was very easy and went well, only having to consult the user's manual from the motherboard a few times to figure out where to hook up a certain cable. Once I had everything plugged in the right spot, and a little cable management around back, it was time to press the power button. By the time I finished it was past 11pm. on a school night and hoping I hadn't spend hours working on something for it to not power on, I reluctantly pressed the power button and somehow, It worked first try! 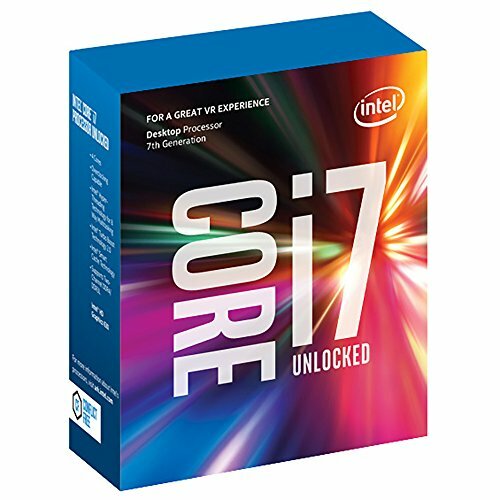 i7 7700k: I chose this because It is a very good processor for gaming and won't cause any bottleneck for any gpu I might upgrade to in the future. 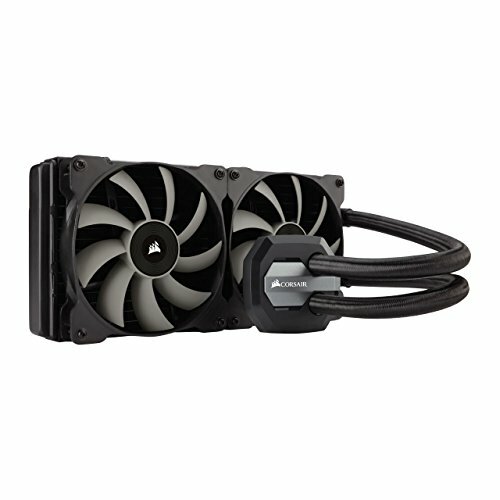 Corsair H115i AIO Cooler: Will keep my cpu cool and look great in my case as well. Asus STRIX Z270-E GAMING Motherboard: Very high end motherboard with great aesthetics, tons of features, and room for upgrade, very nice and easy to work-with bios. 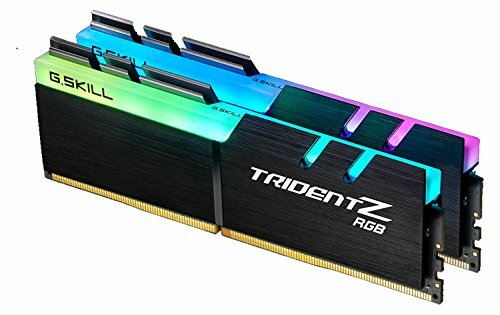 G.Skill Trident Z RGB 16 GB DDR4 3200 Memory: Bought 16 gigs because I feel that nowadays, 8 gigs is just barely enough, so I didn't want to cut back on that. Main feature that I chose this over other memory kits is because of the nice rgb lights. 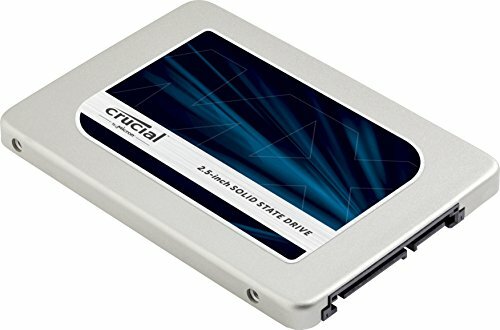 Crucial MX300 525 gb SSD: Wanted fast storage but don't need a ton of capacity. This makes everything feel very snappy and load much quicker than with a HDD. Gigabyte GeForce GTX 1060 3GB: I wanted a good card for 1080p max settings, and this does a great job of that. I plan to upgrade the gpu in the future to run 1440p @ a high refresh rate but for now this is great. Phanteks ECLIPSE P400S TEMPERED GLASS: I chose this for its great build design including tempered glass, which was a must for this build, and for the decent price. This case looks amazing and was a breeze to build in. EVGA SuperNOVA G2 850W 80+ Gold PSU: This psu is very efficient and is future proof for whatever upgrades to my PC I do in the future. be quiet! Pure Wings 2: I wanted some good fans to fill up the top spot in my case and these, as the name led me to believe, are very quiet. Thank You for taking your time to read this, and if you have any questions or comments feel free to leave them down below! Great processor and super fast! No bottleneck here. Keeps my cpu way cooler than on air and looks great in my system! The fans are pretty good, but make a decent amount of noise so might get some ML fans from Corsair to replace the stock ones in the future. Awesome motherboard that has all the features I could ever need and looks really nice with the black pcb and the nice angular rgb lights on the IO cover. Very fast and has enough capacity for now. This case has very very good build quality and is very sturdy! Super easy to build in and the tempered glass adds a certain amount of class to any build that makes the purchase completely worth it! Has gold efficiency, is fully modular, and has enough power for anything I could need! What more could you ask for? Quiet, look cool, and keep good airflow going in my pc. glad to see more people using this case rather than the 340 more lately! Looks great! definitely and overkill cpu compared to the gpu. I know, and that's exactly why I bought it. In the future I plan to upgrade my gpu and don't want my processor to be any bottleneck. How could you afford this, im in 8th grade right now and im struggling for a 6600k..
Ryzen is better for more multi-core workloads such as video editing or streaming, but I don't really plan to do that so for just strait gaming performance the i7 7700k is best. true, ahh well, I already bought what I bought. Nah man, the rx 580 is more future proof, so the only game I play that would benefit from a 1060 is csgo, newer games like doom an battlefield one benefit from the extra 2gb of vram and support for dx12/vulcan api's. Things like GTA V maxed out except shadows on high instead of very high due to vram limitations @ 1080p, it runs well over 60 in the city and in grassy areas in the 40s or 50s. Skyrim has never dipped below 60 fps for my entire game but I don't know the exact frame rate because of v-sync being on. Csgo runs at max settings around 190-230 fps. Metro 2033 redux maxed out runs in the mid 50s in intensive areas outside. I think in some more intensive games I could be getting a higher frame rate but only 3 gigs of vram could be causing some slowdowns. I plan on upgrading my gpu when the Volta architecture comes out from Nvidia. Doe the 3gb of cram limit you with skyrim mods or do you not know or mod? I am considering this card but mainly play fairly heavily modded skyrim and am coming from a 4gb Rx 470 (selling due to cryptocurrency craze). Just wondering how much vram usage you get? I don't have Skyrim modded so I wouldn't know, but I would assume it would be ok.
Great looking build. Man, that Trident Z looks amazing! Some future proofing is always a good idea. Thank you very much, and yes I bought the Trident Z as a kind of centerpiece to my PC and it is awesome! This brings back memories of my own first build! +1 for you sir, welcome to the master race! Before you know it, those PS4 players will be making the switch to play with you! Exactly lol! Once one I and another of my friends had a pc most of everyone else started saving for one too. Now alot of us are doing a job together this summer to get PCs or in my case upgrade them! i love this solely because you as a child but more effort into your build and this post than 90% of the grown adults on this sight haha. Hats off to you young sir. Nice build and great choice of case. I have it too and love it. Check my build if you want. I got the final peice of the puzzle the other day, the trident z rgb. It really is the icing on the cake. Thanks and will check out your build! Yea lol, lemme change the title. Man, I loved that book. Hello, I am also 14 years old, and am planning to do my first pc build. I have been, and still am saving up my money for my dream setup, and have been working really hard. I have been getting really good grades, so my parents said that they trusted me with building a P.C (when I get enough money). Anyways, I hope to have enough money by Boxer Day (December 26). Anyways, I have some friendly questions about your build that I hope you can answer so that I can hopefully improve on my build, or get better information on the components I currently have. Here is my current list: https://pcpartpicker.com/list/B29rjc Thanks in advance. Cooler: other than aesthetics, don't you think a liquid cooler is overkill for an i7 only running a 3gb 1060? The only way I see you needing a liquid cooler is if you are overclocking past 4.2ghz. Correct me if I'm wrong. I get that you are future proofing it, but it still seems like overkill in my opinion. What GPU are you planning to get? RAM: I don't personally believe that the RGB is worth the 40 bucks, I mean don't get me wrong, they look dope, but I just think the extra 40$ is not worth it. I guess it comes down to opinion. No questions. SSD: Great deal for 525gb, no questions. HDD: No hard drive suprised me, but I guess if 500gb works for you it doesn't matter what I think. I would still like to know though why you did not go with an HDD. GPU: Great inexpensive card, but I still think the i7 is overkill with it. A 1070 or 1080 will be great if you get one in the future I think. Again, tell me what GPU you will be getting please. Case: I love this case. I definitely agree with you that the NZXT is too blocky and bulky. No questions. Power Supply: 850 seems like overkill. A 600w or 650w would have done fine even with a 1070 or 1080. These are all of my questions, any responses to these questions are highly apreciated. First of all, I picked the i7 instead of the i5 because I intend to get a 1080 ti or something similar and I don't want any bottleneck because of the processor. I picked the liquid cooler for my CPU because it's quieter, cooler, and better looking than an air cooler. I got the power supply because using a wattage calculator, even if I had 2 1080ti s, my processor, several drives, and case fans, I would still be able to power it with a little to spare. Always better to be safe than sorry. I didn't get a hard drive because it was either a 240gig ssd and a hard drive. Or the larger 512 gig ssd, so I figured the much higher speed but less capacity was adequate and worth it to me. I took a look at your build+setup and think it is pretty awesome! I have that same mouse as you are getting and couldn't possibly recommend it more. I love how it has the g-shift button on the side that when pressed down you can have all the other buttons on the mouse remapped to whatever you want. For example, I can make it so that when the button is pressed down, if I press the scroll wheel it plays Spotify, if I press the dpi up it opens a new tab, and if I press dpi down it closes tabs. It has lots of buttons but they are in the right place so I rarely accidentally press them. I like the monitor that you are getting, and I am saving up for a very similar one from dell that is 1440p 165hz g-sync for the same price. Good build overall and best of luck to you saving up for it this summer! My friend and I are mowing lawns around the area to save so my friend can get a PC and I can get a new monitor. Another person and I have convinced about a third of my class into getting a PC so we can all play together and chat on discord. Probably my biggest tip for getting into PC gaming is to have friends to play with so try to convince your friends to get their own computer if they don't already have one. Good luck and thanks for checking out my build and taking the time to ask some questions! Nice! You should put it up on this site! Awesome reference to eragon in the name! What a rich 14 year old lol. My current pc only cost me $450 when I bought it. Great build man. I love the reference in the name. Yo, im not rich an im building a 1.7k computer. Its called being obedient and working hard. No not rich, I had to save for a year and do a lot of work to get enough money for it but was totally worth it! and yeah, I named my pc after Brizingr because that was my favorite book series and I figured that the word was fitting as it meant the word "Fire" in the ancient language. Yeah ive read that series too, they're great books. I like your pc build and hope it goes well! Also I love the name lol! Uhhhhh there is bones in the salmon?!?!? Yeah I will, for now though, my 525 gigabyte ssd is enough for the games I have. Very nice! You ever play Rust? Thank you, and No, I don't play rust. I am afraid, as we are the same. I am also 14, in 8th grade and want a good pc to run Ark: Survival Evolved and other games on. How many fps do you normally get on Ark? on Epic settings I get around 30, but I can get upwards of 40 with a mix of high and epic. honestly it could run much better if the game was better optimized, but sadly it isn't.